Poteet Architects / poteet architects, lp designed the unique guest house below. Jim Poteet of San Antonio, Texas, founded poteet architects, lp in 1998. Since that time his company has grown and has become known for his "sensitive adaptive reuse of existing buildings and a fresh, rigorous approach to modern interior design." 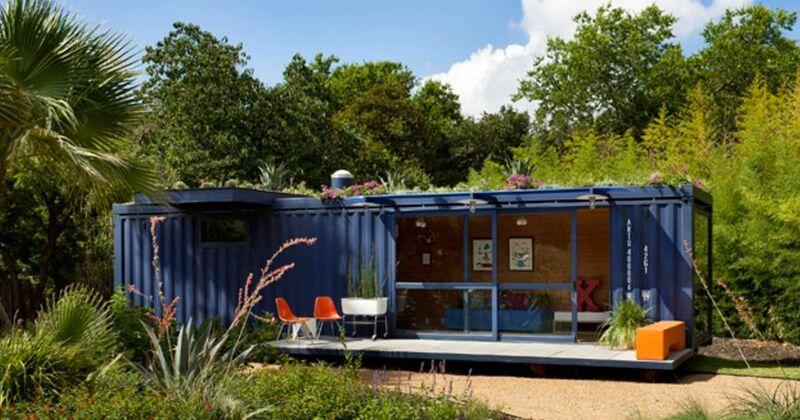 He has joined those who are using shipping containers to create guest rooms, hotels, homes and home offices out of steel containers. Some may wonder why use a shipping container? 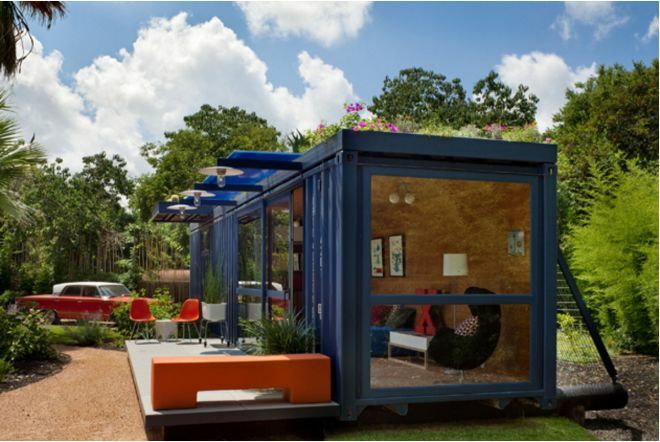 According to Container Home Plans, cost, the option of off-sight building and placing a finished product on-sight, and quick construction are some of the reasons as to why people are trying this alternative within the tiny home movement. As with anything in life, though, shipping container homes run into problems. Getting proper permits and someone who is qualified to do the building can be a problem. Markasaurus points out that in the end, they may not truly be any less expensive than regular housing. 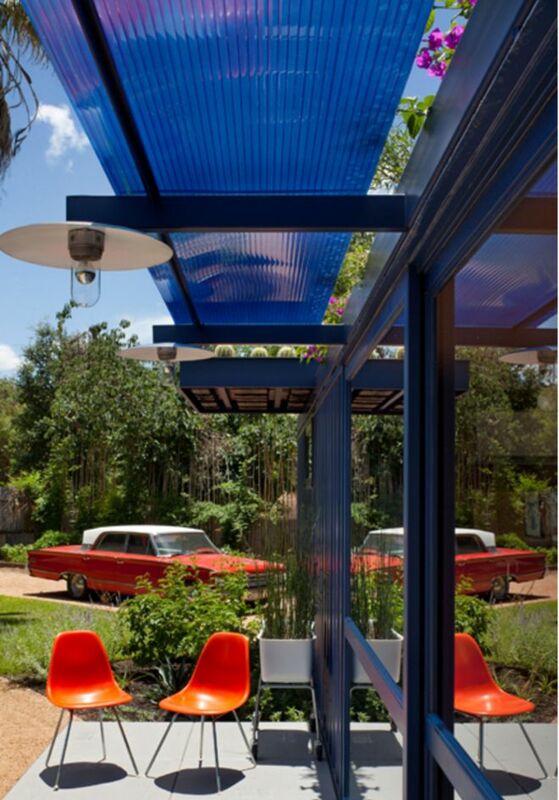 For those who want to try shipping container housing, poteet architects, lp designed the unique guest house below. 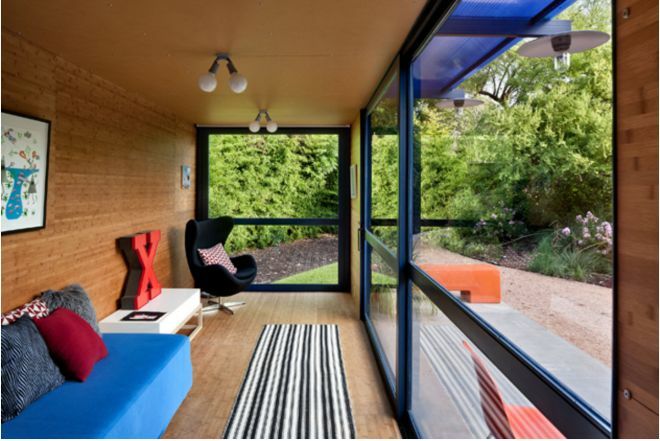 Modern in its interior design, the container is made up of a sitting area and bathroom. Large windows and a spacious deck on the front make the container feel spacious. Bright colors make the room cheerful. 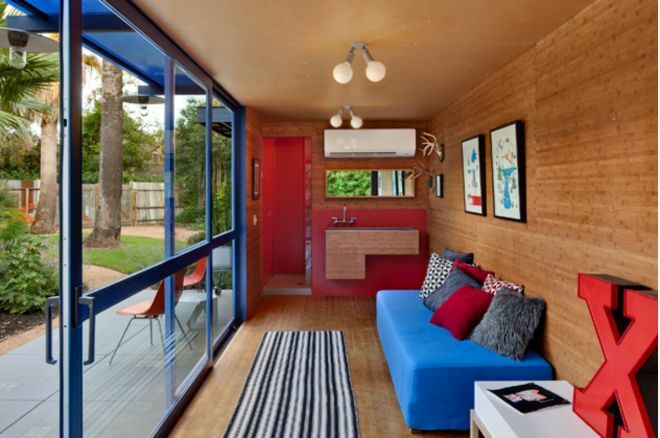 Wood paneling and flooring keep the tiny space warm. The sink for the bathroom is in the main room so it can be used without having to wait for the bathroom to be empty. 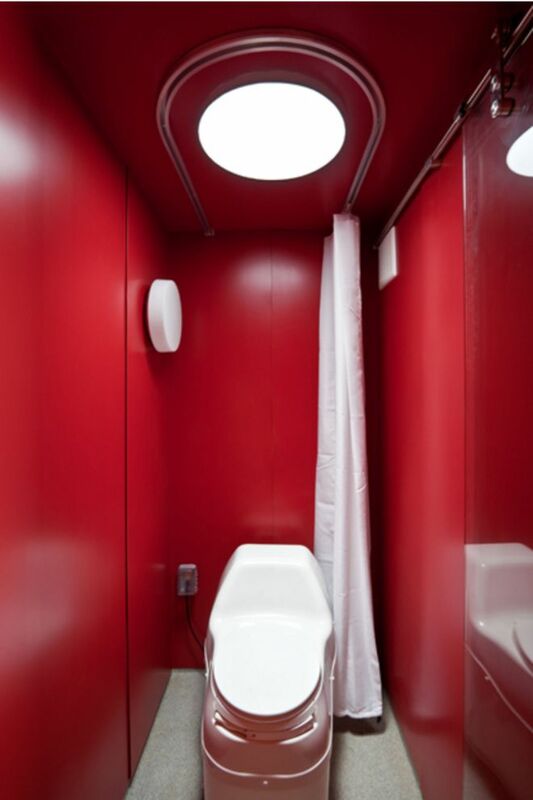 The bathroom is bright red. A privacy curtain pulls around the composting toilet for an added measure of privacy. The view from the windows of this model container home is absolutely beautiful. If you need to add a room to a remote site or simply want a quick solution, something like this container may be exactly what you're looking for.